Coby went to his groomer for the third time in his life today! This time, I told Nikki (his groomer) to cut his hair shorter because he was getting a lot of mats. 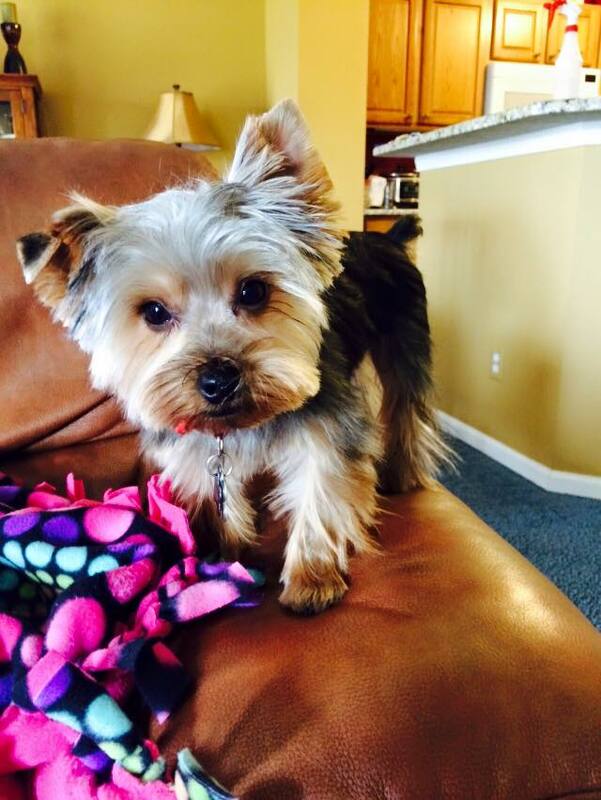 The interesting thing about Yorkies is that have hair rather than fur. They have a single coat of hair, like humans, so they do not shed like a dog with fur. That’s what makes these dogs particularly good for allergy sufferers, like me. The hair of a Yorkie doesn’t usually get matted if it’s kept short, but this is not the case for puppy hair, which Coby hasn’t parted with yet. I searched online to find out that most Yorkies change to their adult coat at 5-6 months of age. Coby is behind as he turned 7 months on April 11. Yorkies begin life with a dark coat of hair, and then their coat changes colors when hormonal changes take place within their bodies. Their hair will turn from black to a silvery blue color. This change can take up to 3 years to completely happen. Although this color change is normal and distinctive to Yorkies, I wish Coby could stay dark as I like that he looks different from his older brothers. Time will tell what Coby’s adult coat will look like, but for now, I will enjoy his dark hair and let maturity play it’s role…just not too quickly! Just like human babies, I want to keep him young. ← Why does my Pet Itch and Scratch? Oh my goodness, how cute! These pups sure keep you busy. I just love them. OH MY How adorable! 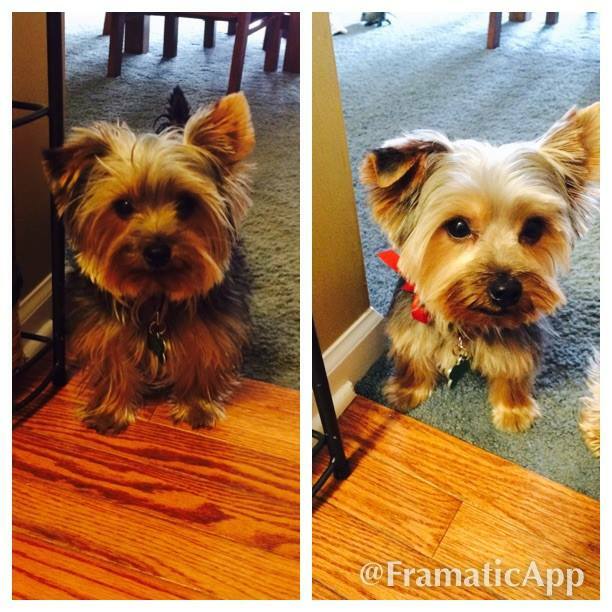 I love when dogs get hair cuts, they look so different and adorable. kjsgkjs Look at those little legs, and ears, and OMG! I am obsessed. Did Coby enjoy his visit to the groomers? Very interesting. Thank you for teaching me about Yorkies. Learned something new today. 🙂 He is adorable!